She is named KT for "Katie Two"! 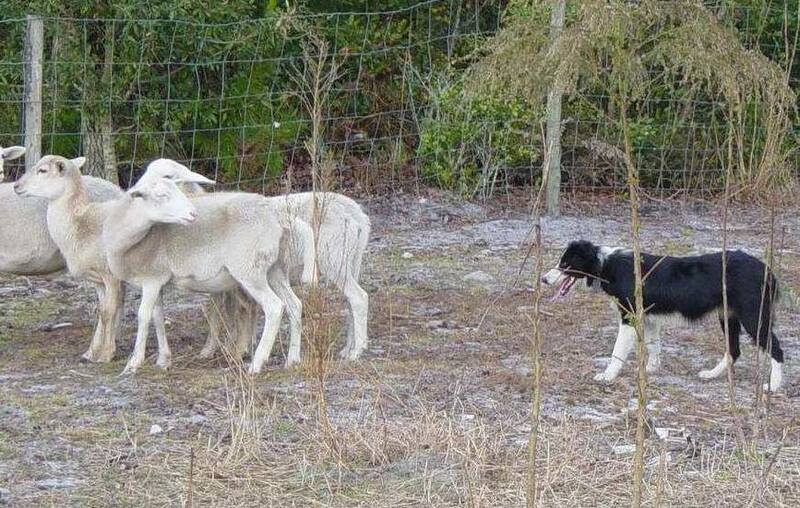 KT herding our sheep at only 6 months old! She has great style and doesn't rush the livestock or scare them. She is very calm and stylish. After the loss of my dear Katie, I have decided to change my kennel around a bit. I purchased KT from a litter with awesome pedigrees. Several of the old greats are in her pedigree and most of them mirror Katie's breeding. 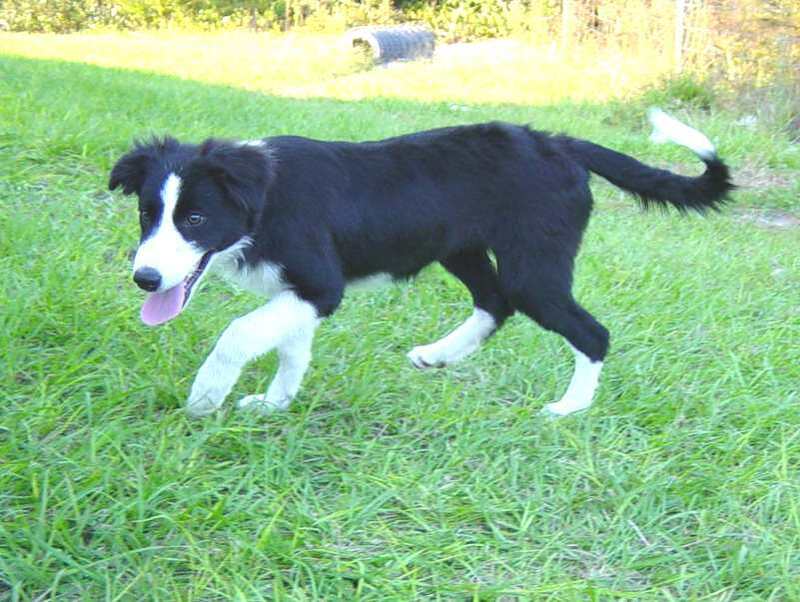 I am very excited about these bloodlines and hope to develop a new line of top quality working border collies with great temperaments and sound conformation. I have named her KT (Katie Two). 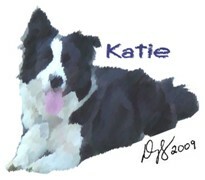 I did not want to name her Katie directly, however, KT sounds like Katie quite a bit. 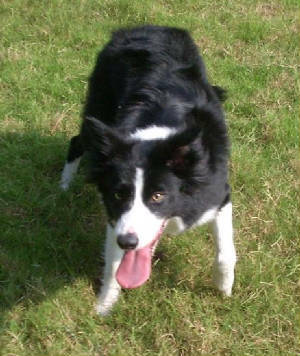 She will have a nice medium rough coat which lays smoother and looks shorter than Katie's. She is also a bit smaller and finer boned than Katie was. Like Katie, however, KT is very agile and lightning fast. 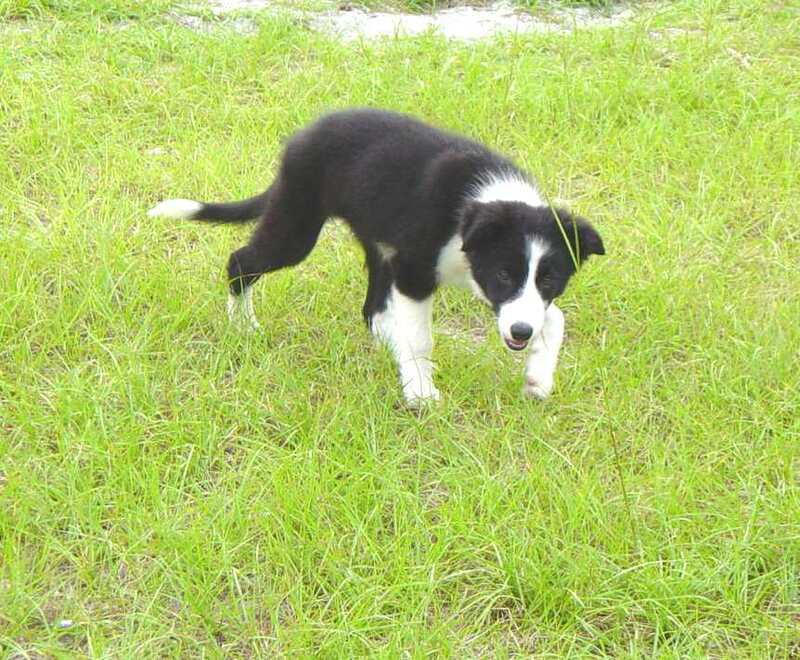 She's got tons of herding instinct and she has had some agility training as well. Currently, KT is in the kennel with Monk. We are hoping for a Christmas litter. This will only be her second litter. KT was a very stylish pup. She would herd anything and showed lots of working style and drive. KT is always ready to work, play, learn, or be loved. She's a very nice girl. This little love hound always wants attention. 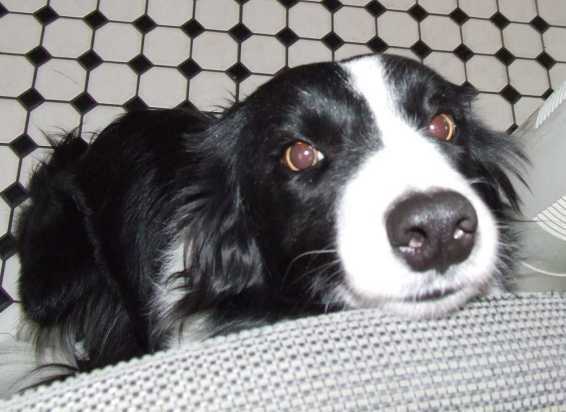 If she's not herding, chasing frisbee or doing agility, all she wants is lovin'! She's very sweet. KT notices our new pigs. She had never seen hogs. She was funny at first, then got busy working 'em. KT loves to play frisbee too! 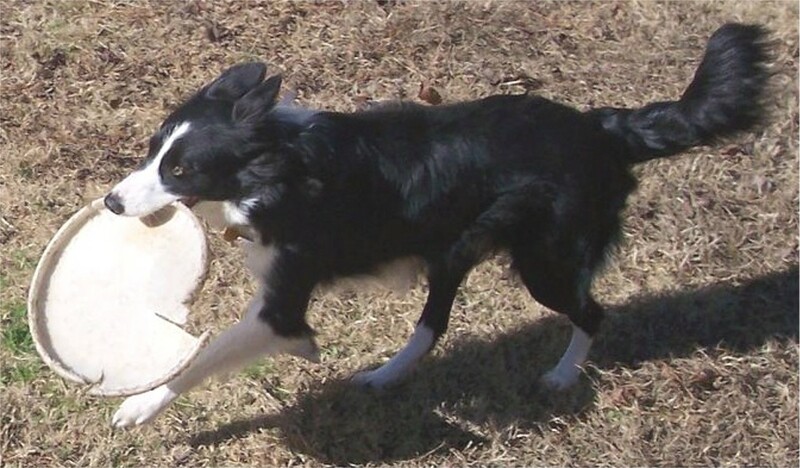 She has gotten very fond of playing frisbee since moving to TE Farms. She has blossomed into a very pretty girl. 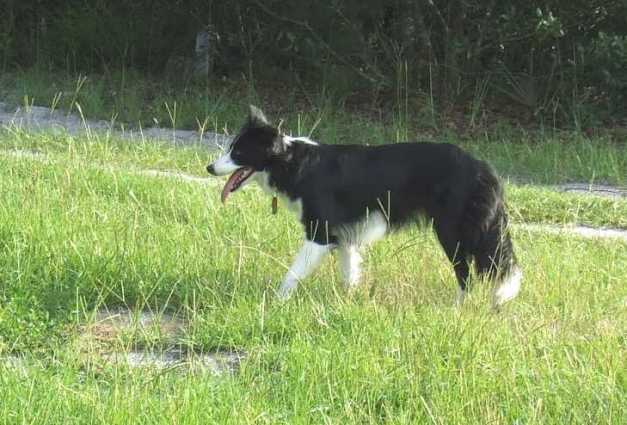 She loves herding, frisbee and even agility! Last update to this page was done 9-19-10.